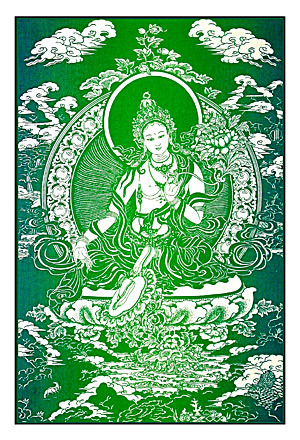 All are welcome to the 10am to Noon Green Tara Sadhana without cost! The $30 offering that we request of those attending the extended retreat makes it possible for us to providesuch retreat opportunities, and it includes lunch! Join this opportunity to deepen your practice when Geshe Kalsang Rapgyal offers this special extended practice retreat after the usual first-Saturday Green Tara Sadhana. Registration required! Lunch provided for participants who sign up for the whole 10am to 5pm retreat. $30 offering requested. Please sign up here or call 502-614-5616.